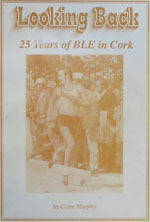 The following article appeared in the book titled…’Looking Back…25 Years of the BLE in Cork. The book was written and edited by Colm Murphy and was published ~ 1993. Several clubs submitted articles which gave an outline of the history of their own respective club. The article below was written by Paddy Lenihan. Among the youngest of the clubs in the county, Eagle Track Club, as it was originally known, was the brainchild of Fred Gilbert. Fred was formally a well known coach with the juvenile section of St Finbarr’s Athletic Club. 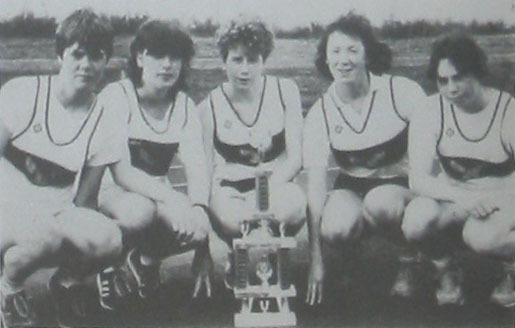 Eagle Track came into being at the start of the 1982/83 cross country season and since then the club has provided the Cork area with many a fine athlete. Among the better known names in the early years of the club were Tony Gilbert, a middle distance runner who won a scholarship to the University of Lowell near Boston and Fidelma Kirwan, a Celtic and schools’ 400 metres hurdles international. Tony’s brother, Declan, followed him on athletic scholarship to Lowell and a third runner to secure a similar crossing of Atlantic to America was Tony O’ Gorman who went to Minnesota. In its very first year, Eagle Track competed in the Omega League Division ‘B’and at junior level, there was a fourth place for Declan Gilbert in the national under-16 steeplechase and gold for Fidelma Kirwan in the girls under -17 four hundred metre hurdles and a silver in the 200 metres. Over the years the successes have accumulated with athletes securing National medals in the throws, jumps, walks, sprints and middle distance events. Much of this success is due to the skilful coaching at the club; from its early years there was Fred Gilbert and Mick Clancy. Since then the coaches in the club have included Mick Sheehan, Denis Ahern Donal Cronin, Paddy Linehan, Colm Murphy, Liam Doherty, Pat Harrington and Catherine Murphy. Paddy Linehan is of course well known for his expertise in the throws as is Colm Murphy, a former National throws coach and currently the National triple coach. Sprinting at the club was at a high standard for many a year – under the care of Denis Ahearn. The quartet of Donal Cronin, John Corr, Mark Smyth and Gary Ahern were among the best squad in the country and indeed proved this at Provincial and national level. Over the years, many a successful thrower has donned the club singlet. The three Linehan sisters – Noreen, Helen and Kathy accumulated many a County, Regional and National medal with Noreen among the pioneers of women’s hammer throwing in Ireland. This past summer, she secured an international ‘ cap’ as Ireland were represented internationally in this event for the first time. Pat O Leary was yet another very capable thrower. Specialising in the shot putt, he was a regular over the 13 metre mark. He was also quite an exponent with the 56 pound weight. 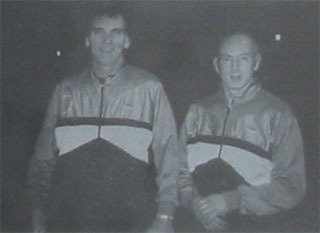 Paul Lynch and Seamus Manning were both 40 metre plus hammer throwers and Kieran Stack, when not steeple chasing, proved a very able javelin thrower. Currently the club boasts of several first rate weight throwers; at Senior level, there is Johnathan McSweeney in the shot, Tim O Herlihy in the discus, Martin O Sullivan and Noreen Linehan in the hammer and Colm Murphy who is making a comeback after a lay off of a decade. All are under the guidance of Paddy Linehan. On the track Fidelma Kirwan remains one of the top 400 metre hurdlers in the country and Anne-Marie Healy has made great progress in her training over the past winter. 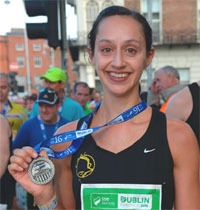 At longer distances national medals have been won at a number of distances up to and including the marathon and such as Joe Murphy, Eddie Noonan, Denis Hegarty, Pat Murphy and Tommy Ryan have ensured that the club’s name is never far from the final placings. 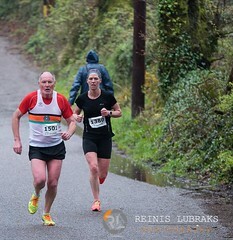 Many of the latter have taken a great interest in mountain running and indeed the club is very active promoting this activity in the Munster area. Besides organising the Munster Championships, Eagle Athletic club also provide the majority of medal winners at regional and national level. The juvenile level of the club boasts of many exciting prospects and the care that Donal Cronin, Liam Doherty, Pat Harrington and Paddy Lenehan have of their charges speaks well of the club as a whole. Susan O Rourke and Ciaran Foley are among those youngsters to benefit. The veterans section of the club is strong and household names as Michael Kiely and Hughie McSweeney compete in the club singlet. Both are national champions of course and have competed successfully abroad. The two have secured medals at the last World Veterans’ Indoor Championships at Budapest, Hungary in 1991 with Michael taking a double gold and silver and Hughie taking two bronzes. The club is growing in numbers in this area and names for the future include Joe Murphy, Ted Twomey, Catherine Murphy and Ebhena Finnegan. As a finale, mention must be made of the two main promotions of the club. 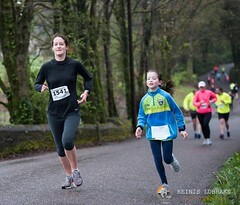 In March annually, the ‘Carrigaline 5’ is run off with all the main athletes in the county and beyond taking part. This ranks among the few athletic promotions in the town. Last August, the club organised the first ever throwers only meeting. All the usual throwing events – to include the hammer and 56 programme. The sports was well supported and all the top throwers in the country were in Cork for the evening’s activities with Mick Sweeney throwing a new all-comers Irish discus record of 60.38 metres and for good measure had also the furthest mark for the 56 for distance for many a year – 8.48 metres. At County Board and Southern Region level, the club has provided many an official. Paddy Linehan was active on the County BLOE Board and presently Colm Murphy and Catherine Murphy are BLE County Board PRO and Secretary respectively. 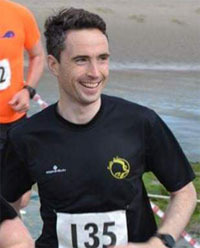 Colm is also the National Triple Jump Coach and all three are very active as officials at meetings up and down the length and breadth of Ireland. 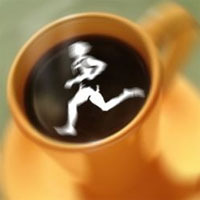 A very active club – both in active participation and indeed in the promotion of athletics. 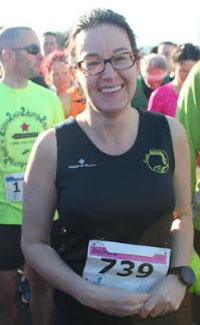 Addendum : Fidelma Kirwan’s best time in the 400m hurdles of 61.10 seconds was set in 1985. When checked on the 24th of Nov 2014, she is still listed as #36 on the Irish All time list for the 400m hurdles. The following Eagle AC members have been included in the provisional Cork teams for the Munster Master’s Cross-Country Championships in Watergrasshill on Sun the 30th of November. 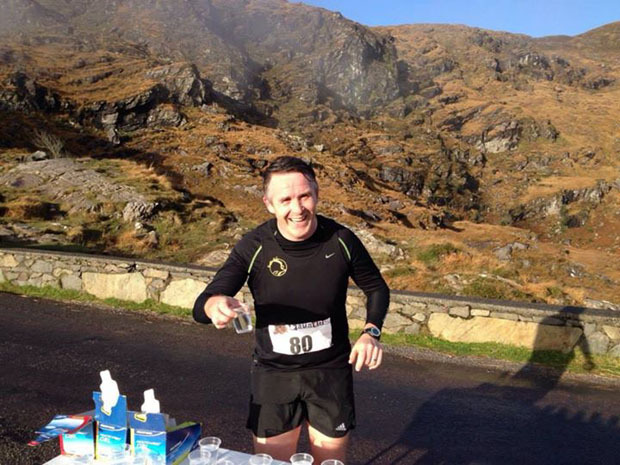 The third race in the Feet First Killarney 5k series was held on Saturday the 15th of November 2014. A total of 5 Eagle members travelled to the Kingdom for the race with Gearoid O’Leary finishing an impressive 3rd place in a new personal best time of 17:32. 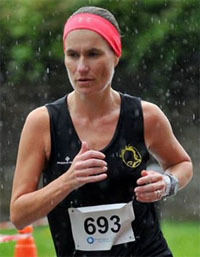 Adelle O’Connor finished 1st F40 while Eugene O’Connor finished 3rd M45. It’s been on my wish list since we had a family holiday in the area in 2011 while training for my first marathon. 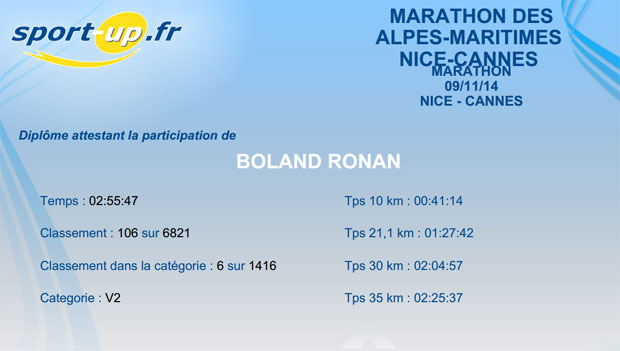 Because I was based in Antibes and had run around the beautiful Cape as well as up and down the coast in both directions I’d run on most of the marathon course before. The race itself has doubled as the French Championships on a number of occasions in its short lifetime so it gets a pretty decent field. They also have invited elites which is reflected in an average men’s winning time of around 2:10. There were about 7000 runners in the full marathon this year. They also had 2 relay options, a 2 x 13.1 and a team relay. About 14,000 participated altogether. 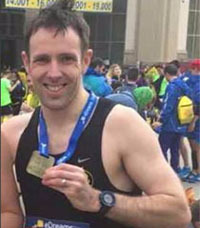 Unlike most other marathons registration didn’t close until 5 days before the race so I was able to make a late decision to race the full marathon (I was originally planning to do the 2 x13 relay and had flights already booked). The registration process was straightforward and efficient. A medical certificate was however required which had to be completed and emailed, faxed or posted back to them. This proved only a minor inconvenience. A nice touch is that they have preferential numbers for runners who can provide evidence of a sub- 3 marathon run within the previous 21 months or so. This meant that even as a late entry I was given number 155 and started in the “Priviligėes” pen directly behind the invited elites (all African, I think). In the pen we had room to walk around and stretch and limber up if we were so inclined. It was nice to feel like an elite for all of 15 minutes- at least until the gun went off! The bag drop was efficient and I didn’t see any major queues for the loo-though that may because the French weren’t shy about going down onto the beach to answer nature’s call in full view of everyone! The first 10 or 15k is basically dead straight and starting up close to the front there was no problem getting into a rhythm immediately ( unlike, say, in Cork or in Dublin). As for the weather it’s a bit unpredictable on the Côte d’Azur in early November. Temperatures are typically in the low to mid teens (which is almost ideal) but the course is very exposed and if it’s windy (which it often is) it can have a large bearing. Because it’s a point-to-point course heading mostly south westerly the direction of the wind matters as much as how strong it is). I found the early part of the morning very humid. It started raining in the 2nd half of the race and became cooler and it basically didn’t stop raining for over 24 hours thereafter. It was really heavy with local flooding next day and it would have been miserable if it had been that wet during the race. That is unusual though, I’m told, and the conditions we had were certainly not bad overall. It would have been nice to see the sun as we ran by all the lovely coastline and yachts but it would of course have made it warmer. As for the course itself, I would say it is faster than Dublin, but not as fast as Berlin or London. The drags aren’t huge but they all come between 25k and 36k, predominantly around the beautiful promontory of the Cap d’Antibes. There is one section at around 15-20k at Villeneuve Leubet (the famous “Sail” buildings that you can see for miles around-for anyone who knows the area) which was a bit tricky- it includes a 180 degree turn and a fair bit of weaving on narrow undulating paths where the surface was only ok. 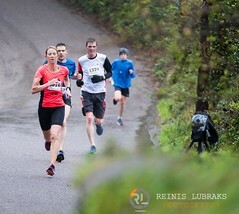 But overall it’s a really nice scenic course and very different to city marathons. Plenty of water, fruit, food and sponges out on the course and lots and lots of enthusiastic uniformed stewards at all the nutrition stations. Finish area well organised. Loads of fresh fruit, food, energy drinks etc. The bag pick-up was easy. A very nice rucksack along with the medal at the finish. High quality “Tech” t shirt made by Adidas collected at the expo beforehand. It was very wet when I finished so I put on dry clothes and we headed straight for the train back to Nice before the bulk of the field finished in case there would be big queues for the train. We were back in our hotel in Nice within an hour of the race finishing so all very efficient. Unfortunately the direct flights from Cork to Nice stop in late October so we did have to drive to Dublin, but the flights were relatively inexpensive and with an 11am flight on Friday it was easy enough driving up in the morning. 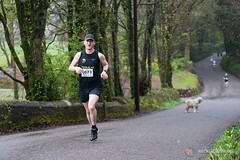 My race entry was €80 but it would have been less if I had booked earlier. I would highly recommend the event to anyone who wants to try a different foreign marathon and maybe to explore everything else this lovely region has to offer at the same time. 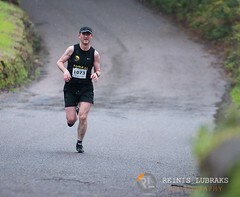 As for my race, I ran a time of 2:55:47, a PB by a small margin. Happy days! 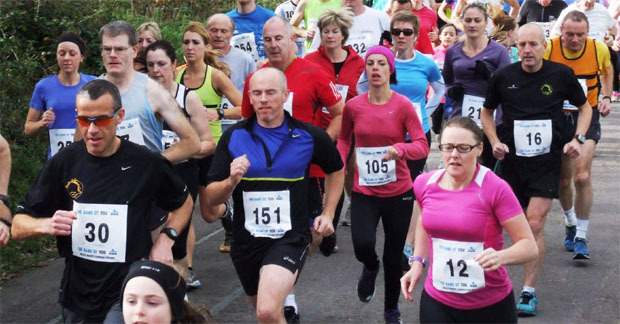 It was announced today that online entries for the 2015 Ballycotton 10 race will open on Friday the 5th of December 2014. Even though the race isn’t until Sunday the 8th of March 2015, it’s very likely that the 2300 available online spots will be snapped up in a few hours. 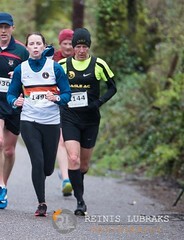 The Ballycotton 10 mile road race is one of the few races in Cork where demand for entries way exceeds what is available. As is always the case, a lot of people are likely to be disappointed. 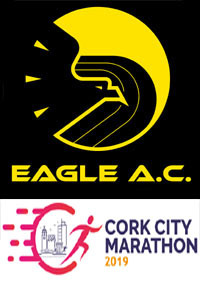 The good news is that Eagle AC members can avail of a two week window to get their entries in. All they have to do is to download the entry form after the 8th of December and just post it in before Friday the 19th of December. Non-members can avail of this 2 week window by joining the club. Any new members joining now will be covered until the end of 2015. Not only can they avail of the two week window this year but next year as well. 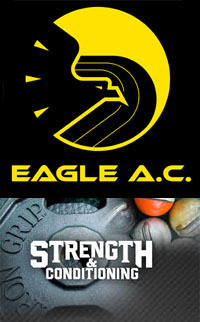 It currently costs €50 to join Eagle AC for the year. 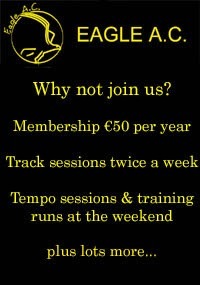 We offer a wide variety of training runs including intervals at the CIT track as well as tempo runs at the weekend. Outside of the track, we organise about 200-250 training runs per annum over a wide variety of distances. For more info about the club, look at the menu items on the left hand side of the website. 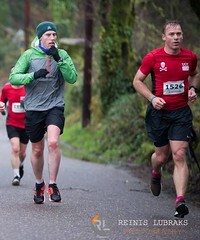 The Valley Rovers 7km run was held on Sunday the 9th of November in Brinny to the north-west of Inishannon. 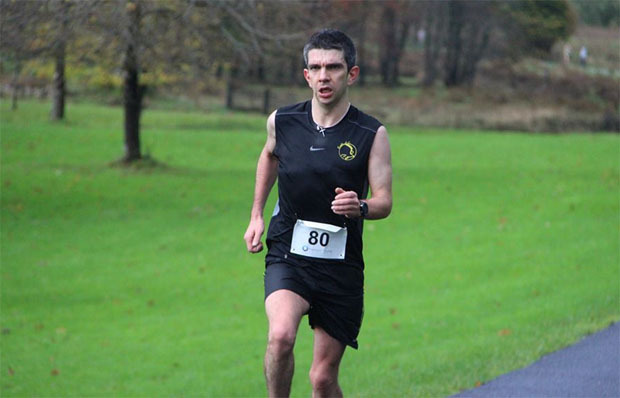 Denis Looney was one of the Eagle AC club members taking part and this is his short report. This 7km fun run took place on a lovely Sunday morning on the 9th of Nov 2014. There were 5 Eagles who ran out of 173 runners and walkers. Registration took place outside in the car park of the Brinny GAA pitch and it was pretty efficient with 2 desks open. The organisers also had the use of the GAA dressing rooms, showers and toilets. There were lots of walkers and children, which can often lead to mass pile ups if they are in the wrong place on the start line. In fairness to the organisers they moved all the walkers to the rear of the starting group. And we started almost bang on time. Conditions were dry bar a light shower around the half way mark and there was a bit of a breeze which seemed to be against us on the way back. What was interesting about the event was the distance (7K) and the fact that the markers were all in kilometres. I’d never run a 7K before so it was a “soft PB” but the K markers came so fast you really felt you were motoring along the looped course. 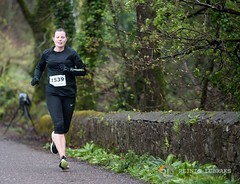 The first mile was mostly uphill with a climb up to St Patrick’s. It’s then mostly flat and downhill, with a short climb to the finish line. 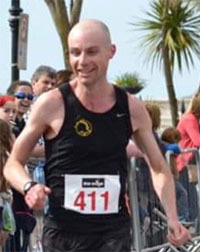 I won’t repeat the accurate description on the running in Cork Running Blog, but it’s a nice course to race, some good ups and downs, but no heart breakers and no long flat stretches. While it was run on open roads, the marshals and Gardaí somehow arranged it that I didn’t see any cars apart from the 500 metre stretch on the main road. The road surface was also pretty good, clean with no potholes. The only comment I would make is that the organisers should consider putting Marshalls or signage inside the grounds of St Patrick’s. Like the Great Limerick run when you go through the building in UL, if you’re not paying attention or not in close contact with the runner in front you through St Patrick’s, you may take a wrong turn. There was water, bananas and Mars bars at the finish line, plus a huge supply of cakes, sandwiches, tea, coffee in the GAA rooms afterwards. Overall, a well organised event and I’d certainly make a return visit.